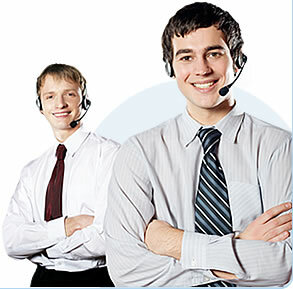 Techpro Security Company’s goal is to offer outstanding IT support to its customers. No matter what kind of a problem you are having with your security equipment, Techpro is ready to help. 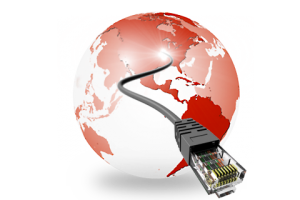 There are several ways to get in touch with IT support. You can use the CCTV help desk, search the forum to answer your question or submit a request through the online form. You can also call the IT support phone number Monday through Friday from 9:00 a.m. through 6 p.m. EST. You can check your existing request from the website. 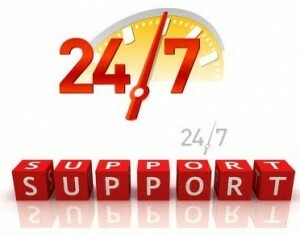 IT support will help you resolve your issue as quickly as possible. The website offers helpful tutorials that will help you learn about specific security equipment. You can download DVR manuals, remote viewing software guides and security camera manuals. Browse their website to find helpful information about a variety of security issues. It’s important to choose the right security equipment for your home. In order to have an effective home security plan, you will need to do some planning. Home security involves adding multiple layers of security in order to be the most effective. These security layers involve increasing the security on the outside of your home as well as on the inside. You should look at your home through the eyes of a criminal. Think about the areas of your home that is most vulnerable. These areas are usually the garage, windows and the entry doors into your home. The garage presents a challenge because the interior door is usually not a solid door at all. This makes it easy for a burglar to kick in the door. Once inside your garage, they can work on the door undetected. That is why the garage door should be reinforced by other methods instead of relying on your garage door opener to provide protection. The garage door opener itself can be a problem. Some garage door openers are so sensitive that you can take it inside your home and accidentally hit the open button. This can raise your garage door without your knowledge. Another way a burglar can enter through the garage door is by finding the garage opener’s code. This is easy if you haven’t manually changed the code on models that come with a standard code at purchase. Many people are not aware of this problem. Some garage door openers use a rolling code that will change every time the door is opened or closed. It is important to find out how your garage door opener works. Door and window sensors do a great job of detecting glass breakage and tripping entry points. These sensors can be purchased through a reputable online home security company or rented through a local alarm service. Either way, it is important to have them monitored. If you purchase the equipment to install on your own, then you can monitor your home through your smartphone or your computer. Technology advances have caused the prices of home security equipment to come down. A complete system that you install yourself, is very affordable. The real question is whether you want to hire someone to monitor your system. If you are not sure about the equipment, you can always call a home security company for advice. Some companies will even send someone to your home and complete a security survey. These are trained security technicians that know the best way to protect your home. Your budget will determine how many layers of security you place in your home. Consider installing motion detection sensors outside in your backyard and the entry ways into your home. This is helpful at night, and you can install surveillance cameras that will start recording when it detects motion. This way you decrease the need for storage and batteries. Driveway alarms are increasing in popularity because they detect movement in the driveway. These sensors work by detecting heat. They are inexpensive and add another layer to your security plan. If you decide to have a professional security company install your equipment, choose the company carefully. A licensed vendor is registered with the state, but that doesn’t guarantee they will do a good job. The registration shows the vendor has met the minimum requirements set forth by the state. A monitored home alarm system is more effective than one that is not monitored. There are a few security steps you can take to improve the security of your home. When you go on vacation, be sure to lock the garage door with a padlock on the inside. This will prevent an intruder from lifting up the door. If you have a private fenced yard, consider using quality gate locks. A regular padlock will be easy to cut and the intruder can gain access into the yard. Once there, they will likely remain undetected. This will give the intruder plenty of time to decide the best way to enter your home. A lot of homeowners don’t consider the backdoor a security threat. Many people have a backdoor that has a window. This makes it easy for the intruder to break the window to unlock the door. Install a secure wood or metal door on every entry into your home. This includes the door from the garage. Install quality deadbolt locks on these doors and include a kick plate. This will keep the intruder from being able to kick in the door. Every layer of security you add to your security plan should make access into your home difficult. The goal of the intruder is to gain entry quickly and without causing very much noise. Make sure there are security signs at every entry point into your home. At least the intruder knows they must possibly deal with tripping the alarm system. If the intruder is experienced, they could enter your home quickly and be gone before the police shows up. That is why you need to add other security methods to combine with your alarm system. Plant shrubs around the windows that are thorny. This will deter the intruder from using these points to enter your home. Keep the landscaping trimmed and hire a lawn service to maintain your yard while you are away on vacation or a business trip. There are home surveillance cameras that you can place inside your home and can be monitored by any smartphone or computer with an Internet connection. If you are out of the country, you can keep an eye on your home. Determine how many cameras you need and buy a system that is easy to install. Wireless surveillance equipment are popular because they can be installed quickly. Nanny cams are gaining in popularity with parents. They make it easy to monitor the activities of teenagers or small children who are cared for by a babysitter or nanny. These so-called spy cameras can be placed anywhere and are hard to detect. These cameras typically cost under $500. They work with a DVR and can record for many hours. When your home will be unoccupied for a length of time, buy timers for your lights, television and stereo system. It is important to make your home look like someone is at home. Most intruders are looking for a home that is not occupied. They will often stake out a home before actually targeting it. Have a neighbor pick up your newspapers and mail. They can also go inside and open the draperies and blinds. It is important to get to know your neighbors. Good neighbors will keep an eye on your home. Call your local law enforcement office and ask about community security programs. Most agencies have a department that is dedicated to educating the community about security. A lot of cities have a website where you can send a request for an office to drive by your home while you are away. They will look for anything suspicious around your home. This can give you peace of mind while you are away. Community watch groups are a good way for neighbors to come together and report suspicious neighborhood activity. Don’t be afraid to call law enforcement if you see suspicious vehicles or people walking around. Most intruders will park away from the home and walk. Becoming familiar with the activities of your neighbors will help you report suspicious activity. If you have expensive electronics, don’t display them by opening the drapes in that room. This makes it easy for anyone passing by to take notice of your belongings. If you have expensive electronic equipment that can easily be sold, the intruder may decide the reward will be worth the risk. If you make your home harder to break into, and the intruder doesn’t know what is inside, then you can reduce your risk of becoming a victim. Intruders are looking for items that can easily be converted into quick cash. Electronics, guns, sporting equipment and jewelry are top favorites for intruders. If you have guns in the home, then they should be locked away. Expensive jewelry should be stored in a secure safe or safe deposit box. Most people leave their jewelry in a place that is easy to access. The rising price of gold makes jewelry a hot item for the intruder. Mark your electronics and sporting equipment to prevent the intruder from selling your items on the open market. This will increase the change that your items may be recovered. Most insurance companies will give you a discount for marking your electronics and expensive sporting equipment. You can also find good home security tips from your insurance agent. Take videos of your jewelry, electronics and other valuable items. Keep the video in a safe deposit box. This way you don’t risk losing the video to intruders. This is also a good way to show the insurance agent proof of the items that were stolen. If you keep a large amount of cash in your home, consider hiding it in the kitchen. The kitchen is not a favorite target of the intruder. The intruder will head straight to the master bedroom after entering your home. They know this is where cash, jewelry and guns are usually stored. Buy a safe that will blend in with ordinary kitchen items found in the pantry. You can search online for these safes. You’ll find unique safes that resemble a box of oatmeal, canned goods or other items. If you move into a new home, you should immediately change all of the locks on the doors. You can find fingerprint door locks and deadbolt systems. These systems use biometric fingerprint technology to protect the contents of your home. If you choose a keyed system, don’t hide a spare key near your home. Safe rooms are growing in popularity for homeowners. A safe room can easily be added to an existing room. These rooms can be used for security and as a way to protect your family from severe weather conditions. The cheapest way to create a safe room in your home is to hire a contractor to reinforce a closet or bathroom. Stock your safe room with emergency items such as a first aid kit, water and canned foods. Include a radio with extra batteries and a cellphone. Home security includes preparing for possible natural disasters. A safe room can be designed to protect your family against tornadoes and hurricanes. The radio will keep you informed by providing you with local emergency information. The safe room can also be used in a situation where you hear an intruder in your home. Practice safety drills with your family to anticipate any kind of emergency. Preparation is key when it comes to home security. Creating a plan is the first step and you can find helpful security information online. If you are confused about starting a security plan, seek out the advice of security professionals. Keeping you and your family safe is the highest priority. Make sure every family member understands how your home security plan works. You can improve the level of security in your home with a little planning.